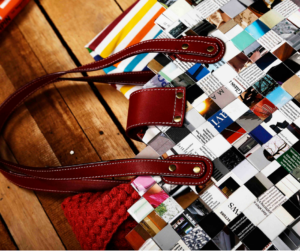 The issue of replica handbags and other goods is a significant problem for designers and the industry as a whole. Whilst it is doubtful that this practice will cease, it is encouraging when authentic luxury products are discovered that are ethically produced in a conscious social manner. 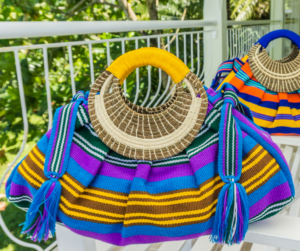 MayaBags® is a handmade, design-driven women’s accessories collection, of purses and items for the home inspired by nature and crafted with the artisanal skills and spirit of the Maya. 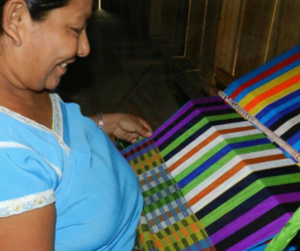 With a model to support and empower Maya women, MayaBags® aids in the building of a village economy. Founded in 1999 by Judy Bergsma, Jovita Sho, Desiree Arnold, and five additional indigenous Maya artisans from different villages in the Maya Mountains of Belize, they have been producing a range of contemporary designed bags using ancient skills and teaching financial literacy whilst celebrating creativity. Today the MayaBags® talented team of shareholder/artisans has grown to over 90 Maya artisans, who meet the thirst for authentic high quality products that are ethically produced and at the same time maintain an ancient skill and contribute towards the prosperity of the Mayan villages. 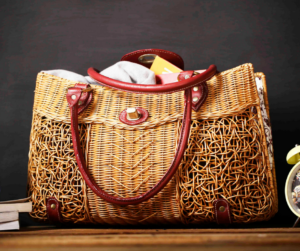 Just 2,500 kilometers to the west of Belize on the islands of St. Kitts and Nevis, REECII is creating beautifully designed handbags crafted from naturally found materials. REECII enables communities to start by using what they have, to get to where they want to be, while investing directly into the lives of marginalized young people through education and vocational training. All products are meticulously hand-crafted by skilled artisans and are made from everyday materials such as plants, paper, or anything that can be recycled. 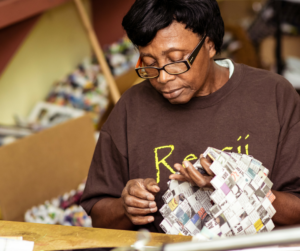 At REECII they not only get their hands dirty making products, but also by wrestling the tough social issues, such as gang violence, HIV prevention, gender inequality, bullying, and substance abuse. When you own a REECII piece of art it helps the environment, fights poverty, reduces gang violence and supports the people of St. Kitts and Nevis in sustaining their customs and traditions. 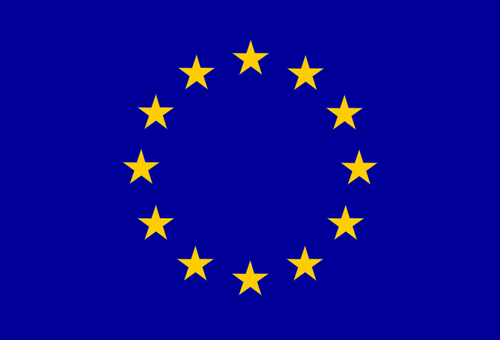 These two organisations are not alone in the Caribbean, which is becoming a sought after location to find ethically produced environmentally friendly high quality unique products. For those of you who would like to see how great these bags are RECCII and MayaBags® will be at the Design Caribbean Pop-Up Shop in Camden later this month. Other designers at the shop include jewellery from HAITI DESIGN and Crystal Forms; and home accessories and art by BHAUGHaus Design Studio and Khadabra.